It happened again. 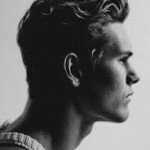 My expectations were high—almost as high as my thirst on a hot day in Fremantle, on the coast outside Perth—and those lofty hopes were topped by something far greater than I imagined. 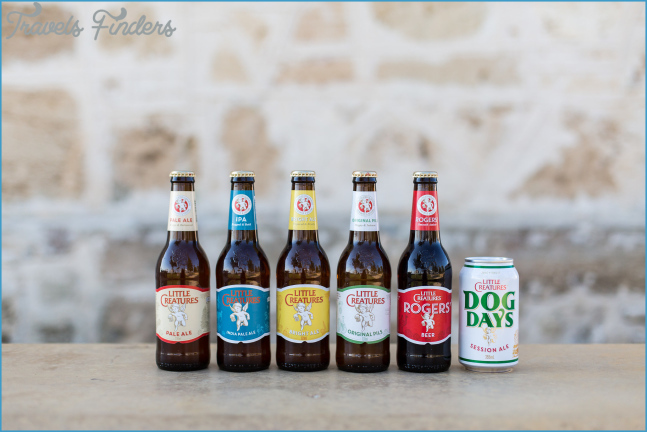 The Little Creatures Brewery is comprised of three side-by-side sheds, overlooking the harbor in Fremantle. They were built in the 1980s as boat sheds for the America’s Cup and two of them were later used— this is delightfully Aussie—as a crocodile farm. 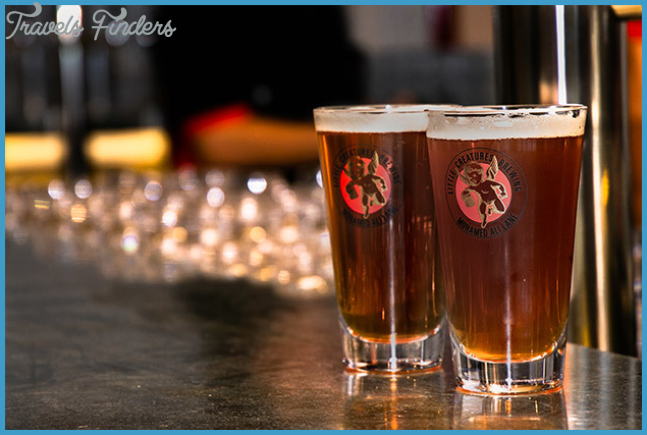 Some beer-loving mates moved a brewery into the two croc sheds in 1999 and released their first beer in 2000. A few years later, they took over the shed next door and knocked it into a new, bigger space, into which they added a new, bigger brewhouse. Before you even get to the bar, you’ll be amazed to find yourself in a theater of beer. You can’t miss that you’re in a brewery—there are pipes above your head, tanks on every side, and pints all around you. You can visit hundreds of breweries where the tanks are visible, but there are very few places in which the drinker is at the center—it’s a show-in-the-round, only you sit in the middle with the action playing around you. There’s a central bar in The Great Hall with walkways all around—the same walkways that people once stood on to look at the crocodiles. There’s an open kitchen, with the glow and heat of a pizza oven and the never-ending job of rolling out and proving dough balls (thousands of these are made each week by a team of 75 chefs—it’s one of the biggest a la carte restaurants in the southern hemisphere. Fun frites-based fact: 80 tonnes of potatoes are hand-cut each year to be turned into their excellent frites. You’ve got fermentation, conditioning, and serving tanks to one side (they sell around 500,000 liters of beer a year). The other side leads you through to the brewhouse—where you can walk around and see everything—and to the Brewhouse Bar. There’s seating everywhere— including overlooking the fishing-boat harbor (this is the same view the brewers enjoy every day from the brewhouse)—on the mezzanine walkway, with a view over everything, or outside in the sun. I bought a pint and just walked around a few times, astonished by the place and in awe at being able to drink surrounded by the brewery. The beer I was drinking was their first beer, their flagship beer, and the beer that has built this space: Little Creatures Pale Ale. Brewed with whole leaf hops, it’s Cascade-focused with some Chinook, plus a mix of other varieties from America, Australia, and New Zealand. The whole leaf hops give a gentle grapefruit and floral quality that’s characteristic of Cascade, while Chinook plays wingman by bringing pine and pith and the Aussie and Kiwi hops add a little fresh stone fruit. The base brew is round in malts, a little fudgy, with a pleasing softness. When this beer was first brewed in 2000 it was polarizing for its high hop flavor and bitterness, a beer unlike any other on the continent. 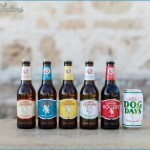 While it may no longer astonish with hoppiness, it’s certainly the most important Aussie beer and still revered as the original craft beer, a beer that transcends the country’s state-based beer preferences—VB in Victoria, XXXX in Queensland—to be regarded as belonging to all of Australia. A few years ago the brewery realized that shipping beer from Fremantle on the far west coast to the distant east coast of Australia— some 2,500 miles (4,000km)—just didn’t make sense. So they built another brewery, twice the size of the original one, in Geelong, just outside Melbourne. This is also a great place to visit. The beautiful brewhouse is immaculate. There’s a large drinking space inside, leading to an outside courtyard, which is chilled out and bright. You’re not surrounded by tanks, but it’s a great place to visit if you’re in Melbourne. 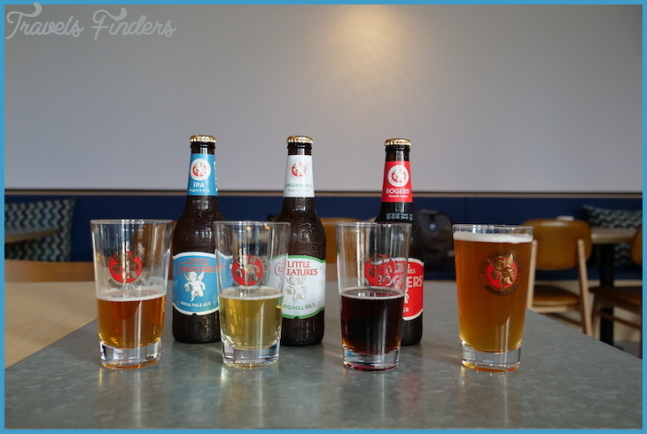 I expected the Fremantle brewery to be impressive, but it went far beyond my expectations. You have to start with a Pale Ale, because it’s the beer that introduced American hops to Australians, then try some of their other beers. And definitely order food, as you’ll want to hang around for a while. It’s one of the Top 10 best brewery spaces in the world to drink in and an essential place to visit. 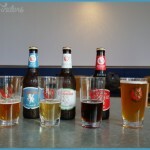 HOW: Tours run daily (12-3pm, on the hour), starting at the Brewhouse Bar. 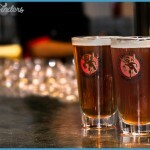 The bar is open every day from 10am (from 9am on weekends) until late (www.littlecreatures.com.au). 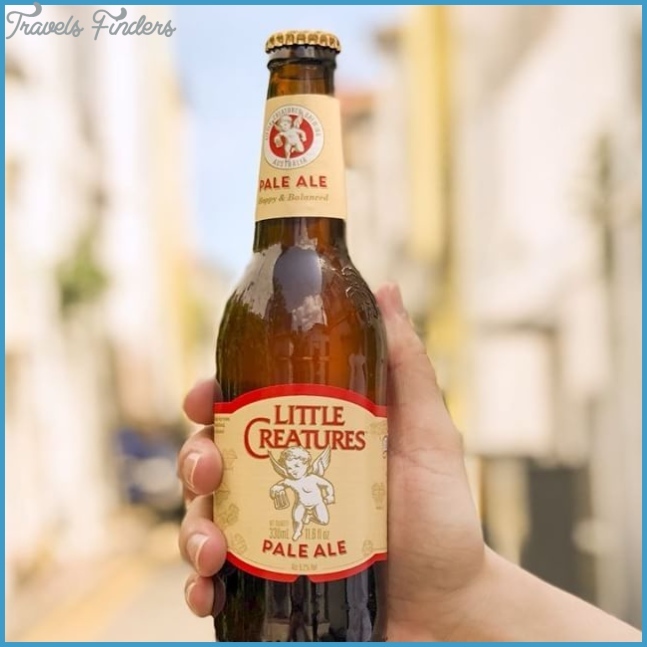 Little Creatures successfully manages to pull off the trick of offering a comfartable, cool taproom space that seemlessly blends into a working brewery.